Enrico Fazio has pursued a jazz career after a master of music degree for double bass and a bachelor with honours in music disciplines. During the European Year of Music of 1985, he obtained a scholarship from the Cini Foundation of Venice and in 1989 he won the first prize in the National Competition of jazz composition and arrangement organised by the Festival of S.Anna Arresi and dedicated to C. Mingus. Since 1999 he made educational experiences in jazz teaching; currently Professor of Jazz Composition and Arranging and Head Department of Jazz at the Conservatory “A. Vivaldi ” in Alessandria. Along with others jazz musicians in 1977, Fazio became founder of C.M.C. (Centre for Creative Music), one of the first self-managed cooperatives for music research dedicated to contemporary jazz artists; he has been C.M.C. president from 1992 up to 2000. From 1974 Fazio plays professionally and performs with the ART STUDIO Group. Since 1987 he guided an organic (with Alberto Mandarini, Fiorenzo Sordini, Adalberto Ferrari, Francesco Aroni Vigone, Gianpiero Malfatto, Luca Campioni and Gianni Virone) of dazzling personality (4th place Record of the Year TOP JAZZ 2003 with the CD Zapping!) but he also currently performs with a big ensemble, including artists of absolute value and miscellaneous musical roots. 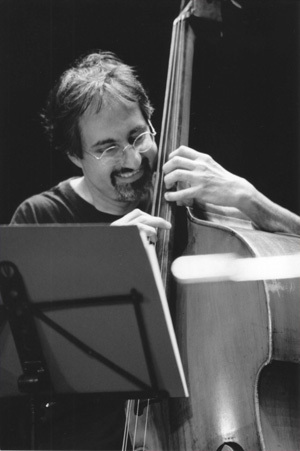 From 1983 to 2006 Fazio played with the Carlo Actis Dato 4tet; he collaborates/ted as well with Sordini/Christi 5tet, Anglo/Italian 4tet, P. Minafra Sud Ensemble, Mitteleuropa Orchestra of A. Centazzo, Dac’corda and the ensembles of the clarinetist G. Locatelli. Moreover, he occasionally performs in duo with the brilliant polistrumentist S. Letov. Together with these talented ensembles, he plays and partakes to the most prestigious festival in Europe, Canada, U.S.A., Argentine, Martinique, Senegal, Morocco, Tunisia, Ethiopia, South Africa, Japan.